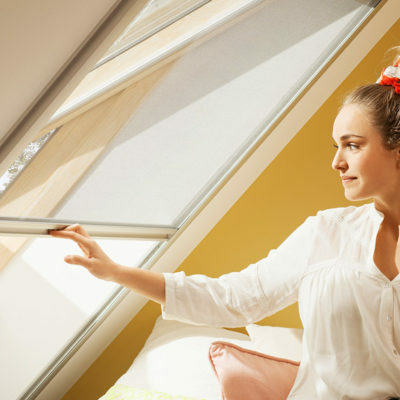 The perfect accessories to make life easier for all manual, electric and solar powered opening skylights. Plus the ultimate in home automation and remote operation for electric and solar opening skylights. 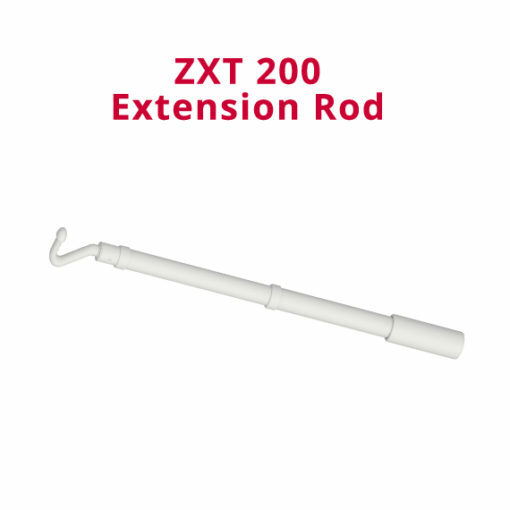 The rod has a crank handle winder with a hook on the opposite end, which connects to a hook on the skylight. Turning the handle will open or close the skylight. One rod can operate multiple skylights. 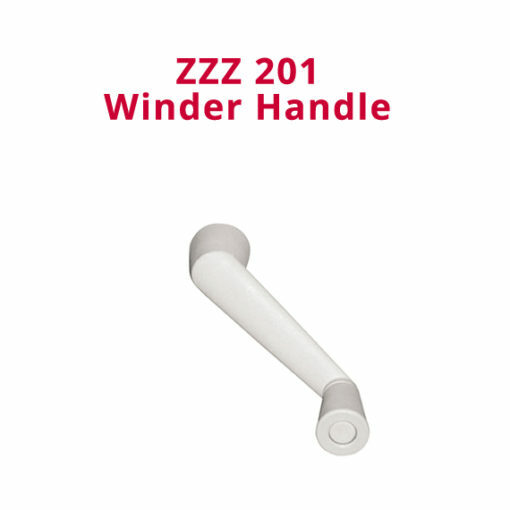 The winder handle is a crank handle fixed permanently onto the manual openable skylight. One handle is needed per skylight. 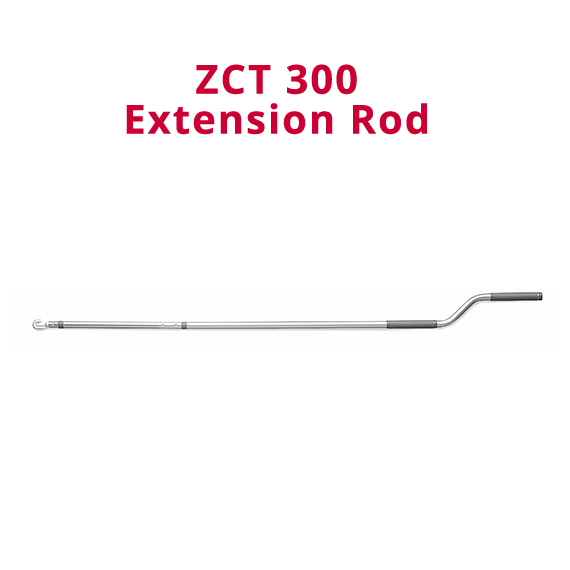 The rod is a short version of the ZCT 300, and will operate a manual openable skylight within reach. 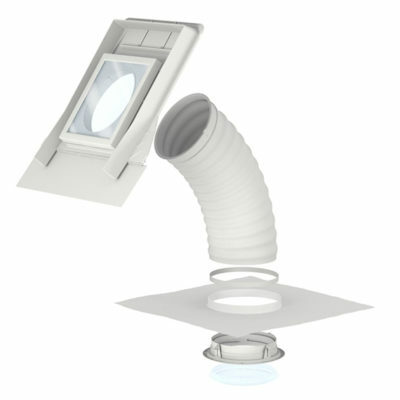 One rod can operate multiple skylights. The rod is a straight rod with a hook on the end, designed to hook into the handrail of the manual blinds. 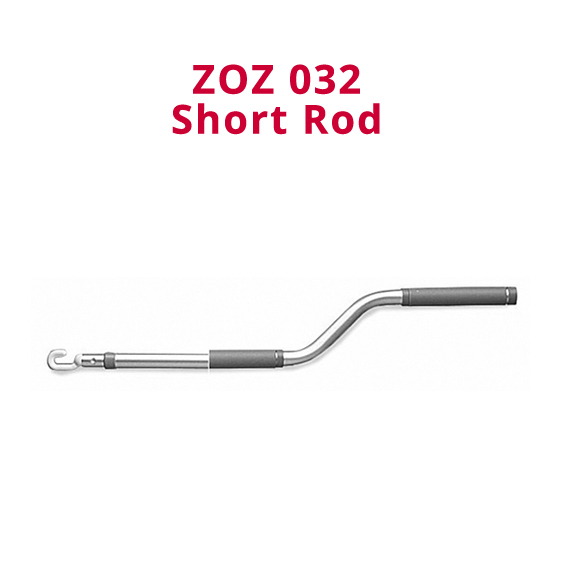 Pulling or pushing the rod will operate the blinds up or down. The KLR 200 is a 2.4 Ghz bi-directional, hand-held radio frequency remote control. Links in with KLC 500 control systems and KLF 100 interfaces to operate Velux electrical products. 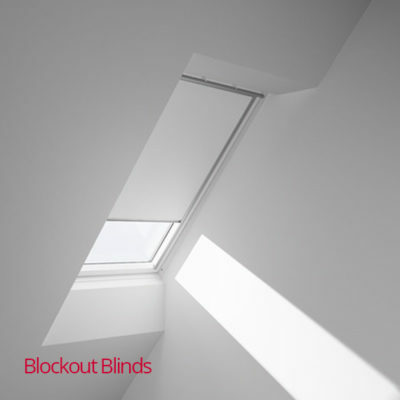 Can operate up to 200 blinds or VSE/VSS Skylights individually or simultaneously. Remote signal does not need line-of-sight and can operate through most building materials. Operating distance-approx 10 meters indoors/75 meters outdoors. 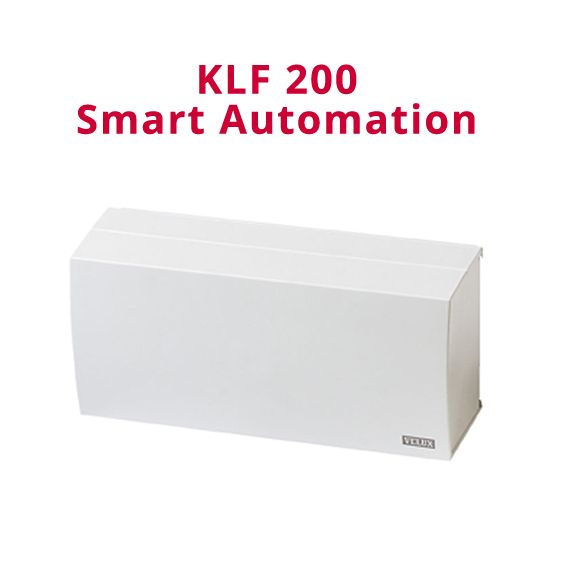 The KLF 100 is a Home Automation interface used to link with Home Smart Systems (eg CBUS, Dynalite etc). 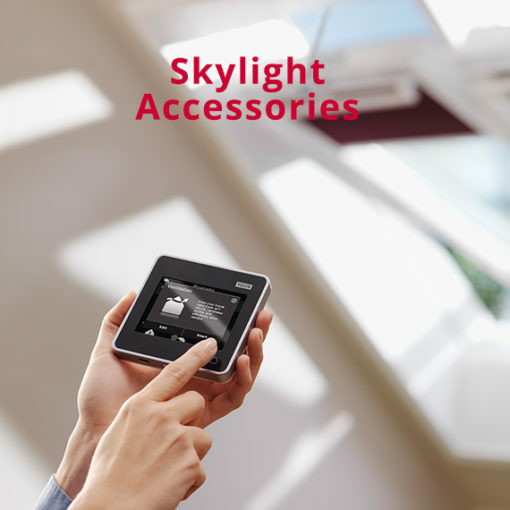 It relays radio signals to existing Velux products. 2.4 Ghz bi-directional radio frequency unit. Comes complete with plug and cable to connect with a standard Australian GPO power point (240 volt). 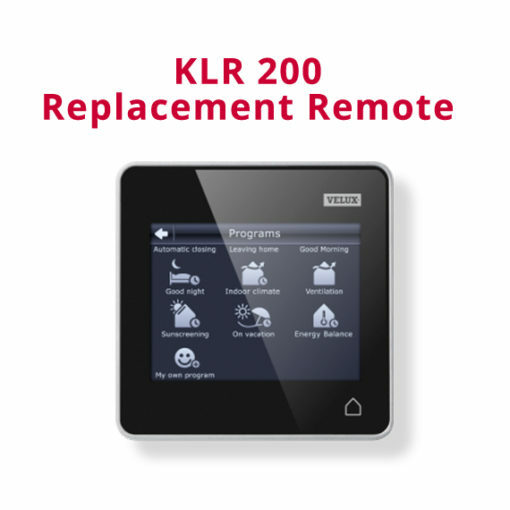 Velux products can be registered directly to the KLF 100/or via the KLR 100 remote control. 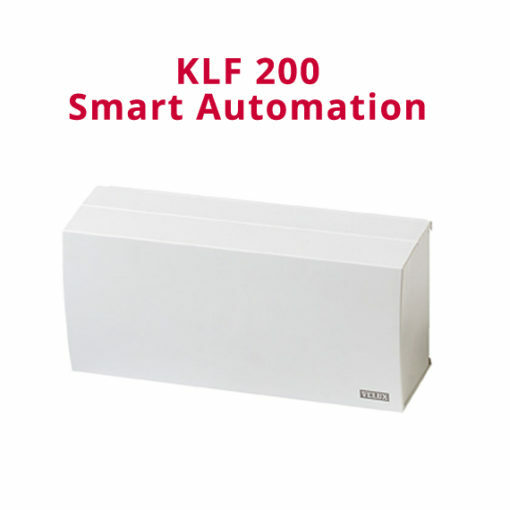 One KLF 100 can operate up to 200 of the same products simultaneously, when in a group. It can also be used as a repeater unit to operate products over longer distances. Operation of independent product groups require additional KLF 100 units. Operating distance is approx. 10 meters indoors/75 meters outdoors. VSS Solar Skylight plus DSH blind will require 2xKLF 10 interfaces. Should be installed in a dry location.